Hello friends, my name is Melody and I am happy to say that I’ve recently started training to help with Friends of Water. This opportunity has been both enjoyable and educational. Although I assumed that I would be taking orders and answering phone calls, the experience so far has been much more. I had no idea there was so much to learn about water. It plays such an important role in everyone’s life! 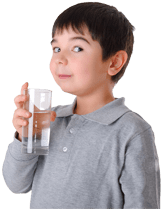 There are thousands of interesting facts about the importance of filtering and drinking clean water. My favorite part about the training is becoming familiar with the helpful information on the website. I’m absorbing fascinating water facts daily! My mind is overflowing with information, and I’m grateful to be receiving this fountain of knowledge. There is a lot to learn, yet it is presented in a simple, straight-forward, and practical way. More and more people are becoming informed about their water—where it’s coming from and how it’s been treated—and I can also see why customers often contact us for advice because there are varying opinions out there today. They need help finding clarity about the many things they’ve heard, and FriendsofWater has developed a reputation for being reliable and accurate. I’m beginning to understand why it’s a great service to inform people about what is in their water. Choosing the right, high quality filter can change their health and improve the environment. While observing Timothy, who manages Friends of Water, I’ve been impressed by the generous time he gives his customers. He’s at his desk every morning, ready and willing to offer helpful advice and information. It inspires me to want to do the same. I have also been impressed with how every customer who inquires has a sincere interest in improving the health of their family and friends, as well as their environment altogether, by drinking safe water and filtering it properly. This has been a very informative and enjoyable service that I feel blessed to have been given. I look forward to connecting with each one of you as mutual friends of water.